Today, the physical and historical evidence for the existence of the God of the Bible is so extensive and compelling that unbelieving skeptics are increasingly resorting to nonempirical arguments to defend their unbelief. That is, they appeal to what we do not yet know or cannot possibly know about the universe and life and insist that some exotic science might one day allow us to conceive of the universe and life existing apart from God. Others appeal to circular reasoning (where A is true because B is true, and B is true because A is true—a logical fallacy that doesn’t actually provide evidence) to defend a nontheistic worldview. 1. How many of you would believe in God if you saw compelling scientific evidence for His existence and saw that evidence increase as we learned more about the universe and the record of nature? 2. How many of you here would not believe in God until the scientific evidence eliminated all other alternate conceivable explanations for the universe and life? One-third of my audience answered in the affirmative for question one, while two-thirds answered in the affirmative for question two. Unbelievers in the first category can be reached through what we know and can know. We should not be surprised that unbelievers in the second category insist on taking the debate into the realm of the unknown and the unknowable. As long as they remain in that realm, we will not and cannot reach them for Jesus Christ. One example of an appeal to the unknown is nontheistic scientists’ argument that since humans are ignorant, and always will be ignorant, about the physical state of the universe between the moment of cosmic creation and 10-35 seconds after the cosmic creation event, it is possible that during that tiny epoch of time physics operated quite differently from what we will ever be able to see and measure.1 They presume that perhaps the laws of physics and the cosmic physical state operated so differently during that tiny epoch that there really is not a beginning to the universe. If there is no cosmic beginning, they assert, then maybe there is no cosmic Beginner either. An example of circular reasoning is the recent claim by two physicists that they had shown the universe has no beginning, and thus no implied Beginner.2 Their claim was founded on describing the cosmic surface with Bohmian trajectories. However, by definition Bohmian trajectories do not allow for singularities or beginnings. So these physicists were presuming a cosmic geometry that forbids the possibility of a cosmic beginning to show that there isn’t a cosmic beginning. In presenting nonempirical arguments, nontheists lay a trap for Christian evangelists and apologists. Fundamentally, these nontheists are saying that Christians won’t possess a case for the existence of God until they are able to refute all the nonempirical arguments for God’s nonexistence. This approach presents Christians with an impossible challenge. A Christian would need to acquire complete knowledge not only about the physical universe but also about everything that could conceivably exist beyond the universe. Neither goal is possible. Since our powers of investigation are constrained by the universe’s space-time dimensions, it is impossible for humans to ever gain a complete database about the properties of the universe, let alone about what lies beyond. These constraints imply that not only is it impossible for us to learn everything about the universe, it is also impossible for us to learn everything about even the smallest component of the universe. In other words, humans can never attain absolute proof about anything, including our own existence. Our inability to ever gain absolute proof, however, does not mean that we cannot attain practical proof. When I first met my wife, Kathy, every observable indication seemed to confirm the reality of her existence. The words coming out of her mouth bore no clue of being preprogrammed. Everything she said was what I would expect to emanate from a free-willed being. Her body movements were consistent with a mass fully subject to the laws of physics. All of her senses were operating in a manner consistent with sights, sounds, tastes, smells, and touches being processed by organs in her body and analyzed by a brain. Nevertheless, I could not be absolutely certain that she actually existed. I had to concede it was possible I simply was relating to a sophisticated hologram. Maybe I was being exposed to elaborate illusions concocted by a very well-funded and technologically equipped team of magicians? I recognized that all I had was a high probability of her existence. Over the next two years I had many opportunities to observe Kathy interacting with me, many other humans, and animals. This additional observational evidence increased the probability of her existence. Nevertheless, I still lacked absolute proof. In the following year and a half, we began to date, got engaged, and got married. Now I had much more evidence that Kathy actually existed—more than enough evidence to commit to be her husband until death. Still, I lacked absolute proof. During my 38 years of marriage to Kathy, based on accumulating evidence, I have seen the probability for her existence steadily rise. The probability exceeds 99.999999 percent. But it is not 100 percent, and (because of limitations in my knowledge gaining capacity) it will never be 100 percent. Likewise, no human being can ever be 100 percent certain that the God of the Bible exists. However, we can gather enough evidence to gain practical proof for God’s existence. We can establish that the probability is very high and that the probability increases as we continue to explore the two books God has given us: the book of nature and the book of Scripture. It is philosophically inconsistent to demand more evidence for God’s existence than the evidence for the existence of a human being. Seeing is only one way to gather evidence. If we could always see and touch God, He would lose His transcendence, and cease to be God. Just as there came a time when I had enough evidence of Kathy’s existence and of her character attributes that I decided to commit my life to her in marriage, there also came a time when the evidence for God’s existence and of His character attributes became abundant enough that I decided to commit my life to Him for all eternity. In both cases I lacked absolute proof, but I had more than enough practical proof. Nontheists complain that Christians often slip God into the scientific knowledge gaps. Specifically, they note that when scientists are unable to come up with a natural explanation for a phenomenon, these Christians will use that inability to claim that God must have stepped in and supernaturally performed the deed. Nontheists will then point to several examples in the past where the apparent inability to explain a phenomenon by natural processes was satisfactorily resolved through additional scientific research. There certainly have been many instances in the past where scientists’ failure to provide a natural explanation was overcome by ongoing research efforts. However, it does not necessarily follow, as many nontheists insist, that every failure to provide a natural explanation will eventually be overcome through ongoing scientific research. Such a priori insistence assumes, but does not prove, that God does not exist or that God will never intervene in the natural order of things. A classic way nontheists express this insistence is to assert that absence of evidence is never evidence of absence. Similar to the God-of-the-gaps appeal, there is the nature-of-the-gaps argument. Some nontheists respond to any inability to explain a phenomenon by concluding that a natural process or some combination of natural processes must be responsible for the phenomenon’s occurrence. The logical fallacy committed here is the presumption that gaps in our knowledge and understanding can only imply one possible conclusion. Though gaps in our knowledge and understanding can never be totally eliminated, they can be made smaller, less numerous, and/or less problematic. They can also become larger, more numerous, and/or more problematic. It is what happens to the gaps in light of more extensive research that determines whether or not we are on the pathway toward more comprehensive and trustworthy knowledge and understanding. Gaps in our knowledge and understanding, thus, provide a powerful opportunity to test competing explanatory models. If a biblical creation model delivers a progressively more comprehensive and consistent explanation of the record of nature where the gaps in knowledge and understanding grow smaller, fewer in number, and less problematic as scientists learn more, then such a demonstration establishes the veracity of that creation model. That model is all the more affirmed if the gaps in the nontheistic models are shown to simultaneously become larger, more numerous, and more problematic with increasing scientific research findings. Investigating what happens to gaps as we learn more and more provides a means for shifting nonempirical appeals into the arena of the empirical. It takes appeals to the unknown into the realm of the known. It encourages skeptics to make their case on what is known and knowable rather than on what is unknown and unknowable. These experiments were hailed as proof that a naturalistic pathway existed for life to self-assemble from nonorganic substances. It was not long, however, before geochemists recognized that the conditions under which the Miller-Urey and Fox experiments were run were nothing like the conditions existing on Earth at the time of life’s origin. Experiments run under actual conditions of the early Earth yielded none of the building block molecules of proteins, DNA, or RNA. Origin-of-life researchers committed to a naturalistic explanation did not give up. They began an exhaustive search for the isotope signatures for prebiotic molecules. While they found abundant evidence for postbiotics, no matter how diligently and extensively they searched, they found no evidence for prebiotics. Geophysicists and chemists explained that no prebiotics were ever found because even the tiniest amount of oxygen in Earth’s atmosphere and oceans stymies the formation of prebiotic molecules. However, if Earth’s atmosphere and oceans had no oxygen at all, ultraviolet radiation from the youthful Sun would bathe Earth’s surface. This ultraviolet radiation is just as catastrophic to prebiotic chemistry as oxygen. If oxygen existed on the early Earth, it would be impossible for prebiotic building block molecules to form. If oxygen did not exist, it would still be impossible for prebiotic building block molecules to form. Without any prebiotic building block molecules, no conceivable naturalistic model or scenario for life’s origin is possible. With Earth ruled out, nontheistic origin-of-life researchers have looked to outer space for answers. In several meteorites, they found eight of the twenty bioactive amino acids at only a few parts per million.5 In a comet, they discovered the simplest amino acid, glycine, at less than a part per billion.6 However, the basic (high pH) amino acids—lysine and arginine—were missing.7 Furthermore, no prebiotic synthesis experiment under any conceivable early Earth conditions has produced any lysine or arginine. Dense molecular clouds in the spiral arms and core of our Milky Way Galaxy possess the highest abundance and diversity of carbonaceous molecules of any astrophysical source. Over 130 such molecules have been discovered in those locations so far. Completely missing, however, are any amino acids, nucleobases, or sugars that are the critical building block molecules for proteins, DNA, and RNA.8 While it is known that the chemical conditions within at least a few of the densest molecular clouds would permit the production of nucleobases and a handful of the simpler amino acids, evidently the amounts produced must be below a few parts per hundred million, a density far too low to be of any benefit for any conceivable origin-of-life scenario. Moreover, ribose, the sugar essential for assembling RNA and DNA molecules, is missing, as are the conditions needed for the production of ribose. Lastly, there is the timing issue. The oldest known rocks on Earth show isotope evidence for a diverse ecosystem of unicellular life-forms.10 This evidence implies that not just one species of life but multiple species arose within a geological instant of time. Do we know everything there is to know about the origin of life? No. However, the missing prebiotics on Earth, the lack of any conceivable source of prebiotic building block molecules, the oxygen-ultraviolet paradox, the homochirality problem, and the extremely brief time window during which several distinct species of life simultaneously appeared rule out the possibility of any rational natural explanation for life’s origin. The only reasonable explanation that remains is that a supernatural, superintelligent Being created life. how a cell does everything that it does. They also know, in exquisite detail, the structure of the cell’s molecular machinery (which enables the cell to do everything that it does). Will biochemists eventually achieve their goal of creating life in the lab? If the technology, wealth, and intellectual resources available to achieve the goal keep increasing at an exponential rate, then quite possibly yes. Will that achievement prove that God is not necessary to explain the origin of life? No, but it will demonstrate that a Causal Agent much more intelligent, knowledgeable, rich, and powerful than us was responsible for life’s origin. In spite of the overwhelmingly compelling case for a supernatural cause for life’s origin, it should not be surprising that nontheists will persist in claiming that some hypothetical, unguided, mindless set of processes in the realm of the unknown or unknowable actually resulted in the origin of life. However, if these nontheists are unable to articulate in any specific manner the processes that gave rise to life’s origin, they have no reasonable case. Neither do they possess a reasonable case if the processes they are able to articulate become progressively more extreme and/or absurd as scientists learn more. Consider by way of analogy flat-Earth proponents. They still have models and explanations for why Earth is flat rather than spherical, but their models and explanations have become dramatically more extreme and absurd with respect to our increasing knowledge about Earth. While nontheists always will be able to appeal to some hypothetical unguided, mindless processes in the realm of the unknown to possibly explain life’s origin, the extremely high entropy measure (level of atomic and molecular disorder) of the universe combined with an analogy to humanity’s best efforts more than sufficiently establish that a supernatural Creator must have brought life into existence. Back in the 1980s—before the multiverse theory had been proposed—I told audiences that the evidence for the fine-tuning of the universe for the specific benefit of human beings would eventually become so overwhelming that nontheists would have to speculate that an infinite number of differing universes exist and by pure chance our universe possesses all the features that make life possible. Now in the twenty-first century, this appeal to the multiverse is indeed where nontheists have gone in their attempts to escape God. hypothetically distinct features and physical laws. Moreover, the existence and properties of these hypothetical universes are impossible to verify. Meanwhile, at every size scale at which scientists have observed the universe, they find overwhelming evidence of fine-tuning design for humanity’s specific benefit. Whether it be the universe or fundamental particles, at each of the size scales where we can make measurements and observations, we detect overwhelming evidence that the realms around us have been exquisitely designed to make our existence possible.12 To claim that going to a size scale that is impossible for us to ever explore will somehow eliminate all the fine-tuning evidence we ubiquitously detect in all the size scales that we are able to explore is illogical. In other words, those who appeal to the multiverse to explain away all observed fine-tuning are being philosophically inconsistent. They accept fine-tuning design evidence as sufficient evidence to establish beyond any reasonable doubt their own existence and the existence of other life-forms while rejecting greater fine-tuning evidence for the existence of God. In one respect, however, the multiverse appeal is consistent with a Christian worldview. It agrees with Christianity that the cause of the fine-tuning design ubiquitously evidenced throughout the cosmos transcends the space-time manifold of the universe. Again, our worldview must be founded on what we know or can know, never on what we do not know or cannot know. Absolute proof is unattainable, but practical proof is within our grasp. Evidence for the fine-tuning design that makes humans and human civilization possible has been consistently increasing at an exponential rate throughout the past several decades. Cause and Effect Principles The universe possesses an extremely high entropy measure. As Paul says in Romans 8:18–22, the entire universe is subject to a pervasive law of decay. This propensity toward increasing disorder implies that effects cannot be greater than their causes. Herein lies a fundamental problem for nontheists. They are forced to conclude that the living, the conscious, the personal, the mindful, the volitional, the emotional, and the spiritual arise from that which lacks life, consciousness, personality, mind, volition, emotions, and spirituality. However, everything that we measure and observe strongly refutes the belief that the greater naturally arises from the lesser. Apologetics is often perceived as a ministry of refuting the arguments for God’s nonexistence or nonoperation. However, 1 Peter 3:15 implies that we are to make the case for our Christian faith based on evidence and reason—and with gentleness and respect. Our goal, as always, should be to gently encourage nontheists to leave the world of fantasy and speculation and join us in walking the road of reality to meet the One who created us and everything we see. 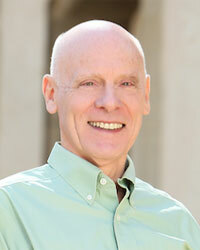 Hugh Ross (PhD, University of Toronto) is founder and president of Reasons to Believe (reasons.org). He is the author of numerous books, including Navigating Genesis, Hidden Treasures in the Book of Job, and Why the Universe Is the Way It Is. 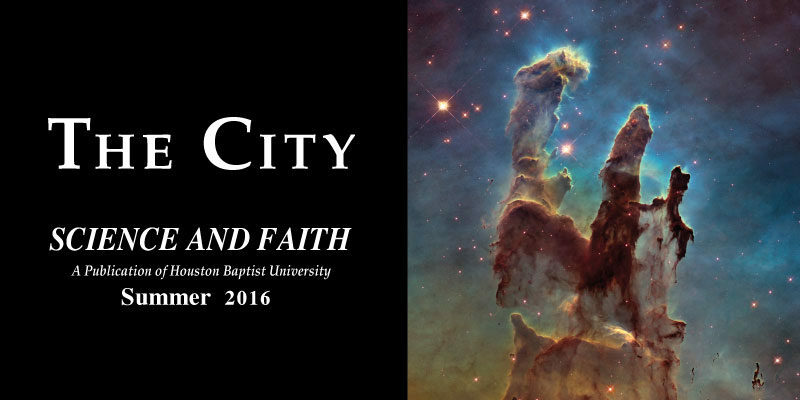 An astronomer and a pastor, Ross has addressed students and faculty on over 300 campuses in the United States and abroad on a wide variety of science-faith topics. From science conferences to churches to government labs, Ross presents powerful evidence for a purpose-filled universe. 1. I discuss several examples of such appeals in a two-part series of articles: Hugh Ross, “A Universe from Nothing? A Critique of Lawrence Krauss’ Book, Part 1,” Today’s New Reason to Believe (blog), Reasons to Believe, April 9, 2012, http://www.reasons.org/articles/universe-from-nothing-a-critique-of-lawrence-krauss-book-part-1; Hugh Ross, “A Universe from Nothing? A Critique of Lawrence Krauss’ Book, Part 2,” Today’s New Reason to Believe (blog), Reasons to Believe, April 12, 2012, http://www.reasons.org/articles/a-universe-from-nothing-a-critique-of-lawrence-krauss-book-part-2. 2. I discuss this claim in the following article: Hugh Ross, “Have Quantum Physicists Disproved the Big Bang?,” Today’s New Reason to Believe (blog), Reasons to Believe, February 19, 2015, http://www.reasons.org/articles/have-quantum-physicists-disproven-the-big-bang. 3. Stanley L. Miller, “A Production of Amino Acids under Possible Primitive Earth Conditions,”Science 117 (May 1953): 528–29, doi:10.1126/science.117.3046.528. 4. In my opinion, this book offers the best scholarly review of the early history of origin-of-life research: Iris Fry, The Emergence of Life on Earth: A Historical and Scientific Overview (New Brunswick, NJ: Rutgers University Press, 2000), 83–88. 5. J. R. Cronin and S. Pizzarello, “Amino Acids in Meteorites,” Advances in Space Research 3 (March 1983): 5–18. 6. Jamie Elsila, Daniel Glavin, and Jason Dworkin, “Cometary Glycine Detected in Samples Returned by Stardust,” Meteoritics & Planetary Science 44 (September 2009): 1323–30, doi:10.1111/j.1945-5100.2009.tb01224.x. 7. Gene D. McDonald and Michael C. Storrie-Lombardi, “Biochemical Constraints in a Protobiotic Earth Devoid of Basic Amino Acids: The ‘BAA(-) World,’” Astrobiology 10 (December 2010): 989–1000, doi:10.1089/ast.2010.0484; Hugh Ross, “Rare Amino Acid Challenge to the Origin of Life,”Today’s New Reason to Believe (blog), Reasons to Believe, April 11, 2011, http://www.reasons.org/articles/rare-amino-acid-challenge-to-the-origin-of-life. 8. L. E. Snyder et al., “A Rigorous Attempt to Verify Interstellar Glycine,” Astrophysical Journal 619 (February 2005): 914–30, doi:10.1086/426677; Yi-Jehng Kuan et al., “A Search for Interstellar Pyrimidine,” Monthly Notices of the Royal Astronomical Society 345 (October 2003): 650–56, doi:10.1046/j.1365-8711.2003.06975.x. 9. Fazale Rana and Hugh Ross, Origins of Life (Covina, CA: RTB Press, 2014), 125–36. 10. Hugh Ross, “Construction Begins below Ground,” chap. 8 in Improbable Planet (Grand Rapids: Baker, 2016). 11. Fazale Rana, Creating Life in the Lab (Grand Rapids: Baker, 2011). 12. Hugh Ross, “RTB Design Compendium (2009),” Reasons to Believe, November 17, 2010, http://www.reasons.org/fine-tuning.